Life is more simple than you imagine! 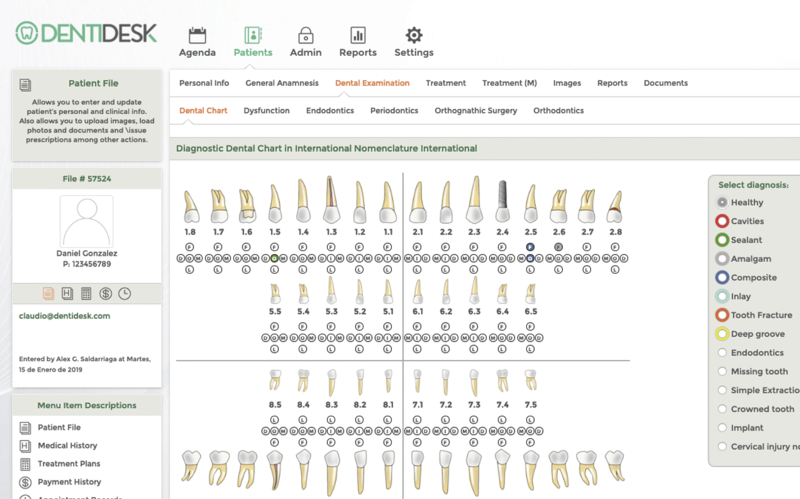 With DENTIDESK you can efficiently and safely organize all the clinical, administrative and financial information: a single software to manage all aspects of your dental practice. and other unique and differentiating characteristics, such as multiuser capacity, compleatly bilingual and more than 20 types of financial and administrative reports. 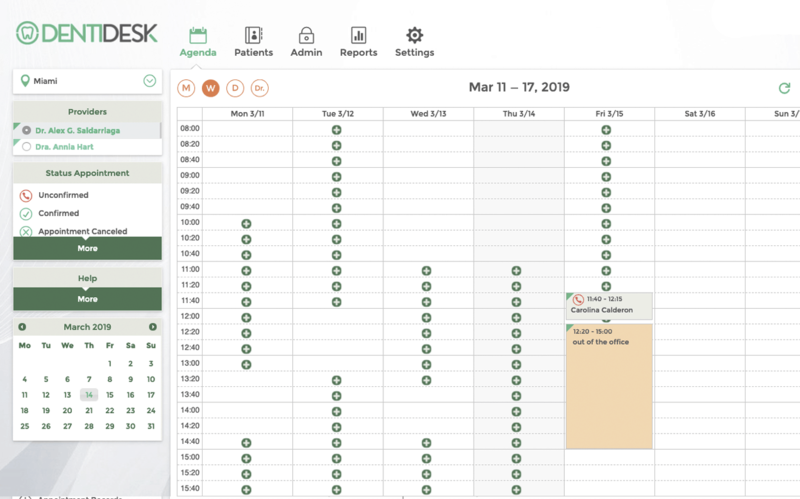 DENTIDESK integrates all the financial, administrative and clinical data that will allow you to concentrate on your work without distractions, working in a highly intuitive and friendly environment. Save time and money focusing on the most important things: to offer the best possible experience to your patients and grow your dental practice. Stay connected at all times! Our cloud-based dental software allows you to see all the clinic´s information from anywhere, quickly, easily and from any device, be it your phone, tablet, notebook, Mac or PC.